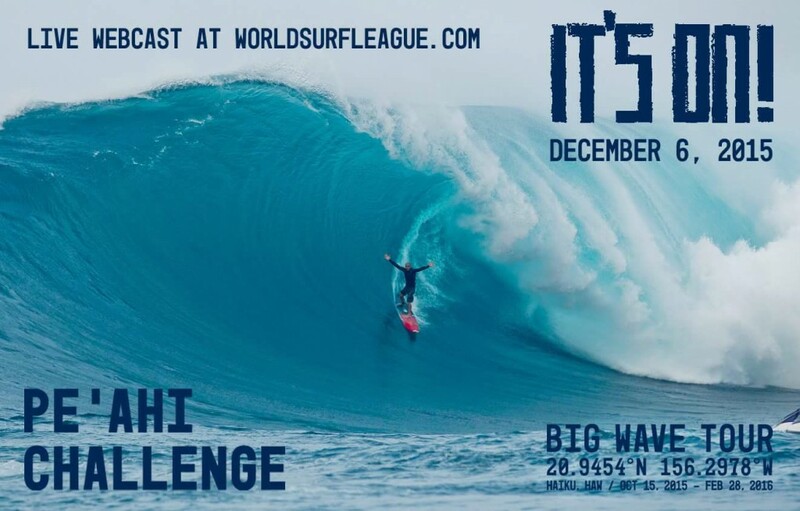 The waves will be firing for the 2015 Pe’ahi Challenge and we have the only interactive view of the waves as they’re coming in! Check out the Pauwela buoy and scroll down to the live wave data where you will see the sets hit the buoy 6.5 nautical miles off Haiku. Unfair advantage to a competitor? Who knows! With the contest about to kick off, offshore wave heights are 15-20 feet. Pe’ahi magnifies the swell significantly so wave faces will be double that. Congratulations to all the competitors, stay safe and charge!